Indonesia will not be righting the perception that it's a tough place for miners after the country's supreme court said it will not hear Churchill Mining's (LON:CHL) appeal in its two-year legal battle to get compensation for a coal project that the company says was unfairly seized. The company did not have more details about the ruling since it is still translating the decision. The next steps for the company's $2-billion lawsuit is international arbitration. Today, the company's stock was 11.35% to $8.20. The stock's 52-week low is $6.25. The ruling won't do Indonesia's reputation any good. The country is already ranked one of the ten worst in the world for mining investment, along with Vietnam, Ecuador, Kyrgyzstan, the Philippines, India, Venezuela, Bolivia, Guatemala and Honduras. 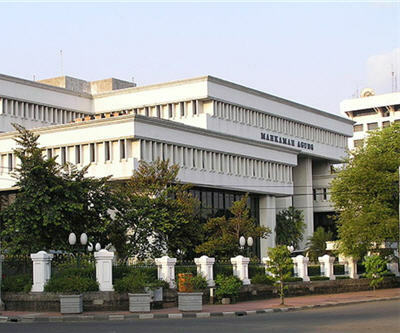 Churchill’s appeal was launched to overturn the decision by the Administrative Tribunal in Samarinda, East Kalimantan. The Supreme Court’s decisions affirm that the decrees of the Regent of East Kutai revoking the four mining licences that make up the East Kutai Coal Project (Churchill 75% interest) were validly issued. "We are disappointed in the written decisions confirming the rejection of our appeal. We are underway with the International Arbitration claim against the Republic of Indonesia to seek a legitimate remedy for our shareholders and protect our rights as a foreign investor in Indonesia," said Churchill Mining’s Chairman David Quinlivan. Churchill has filed a claim at the International Centre for Settlement of Investment Disputes (“ICSID”) in Washington D.C. against the Republic of Indonesia. The company is actively moving forward with the claim against the Republic of Indonesia for direct breaches of Indonesia’s investment laws and Indonesia’s obligations under international investment treaties. Last week the company's plight was profiled in the New York Times.